As proved by the musical Wicked and numerous superhero movies, audiences love a good origin story. 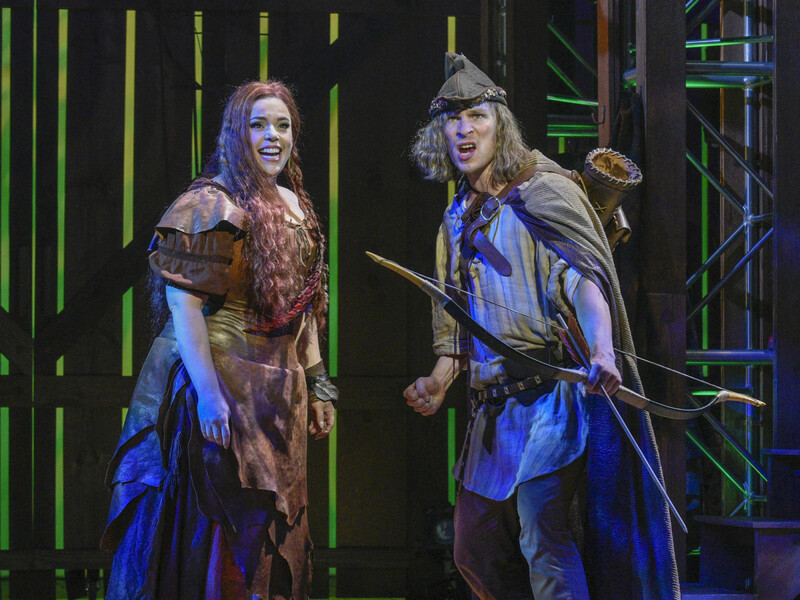 Dallas Theater Center is banking on that with its world premiere of Hood: The Robin Hood Musical Adventure, which reveals how a spoiled young nobleman ended up the famous folk hero who steals from the rich to give to the poor. 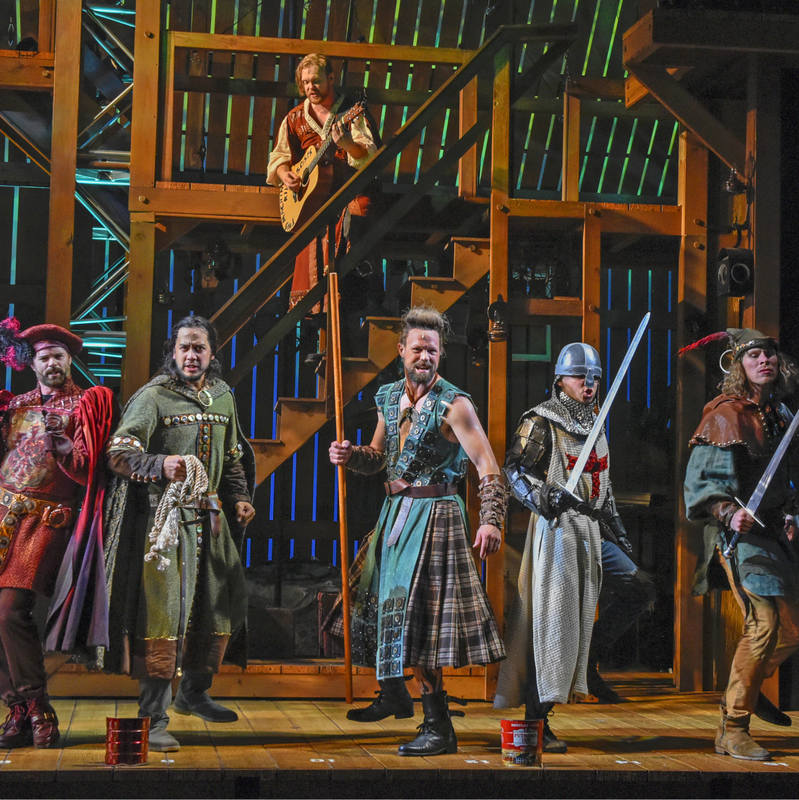 Centuries of the Robin Hood myth provide ample material for playwright Douglas Carter Beane, who gets to pepper his tale with satisfying touchstones (so that's why he's called Little John!) 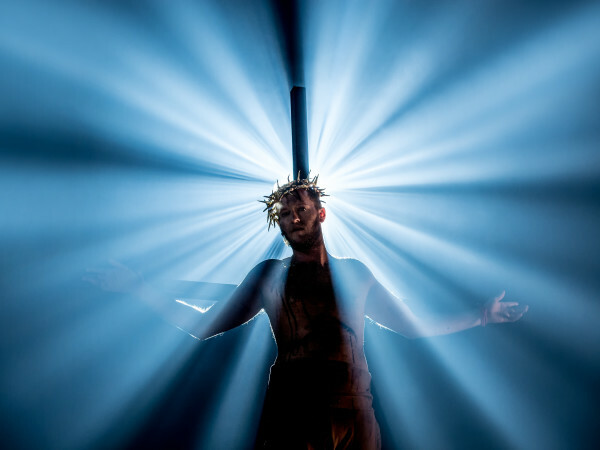 while adding modern oomph to a narrative that has already seen scores of interpretations. But that's Beane's storytelling sweet spot: taking something that seems forgettably familiar and pumping it full of new life. He did it with the Broadway revival of Rodgers + Hammerstein's Cinderella and the Broadway adaptation of Xanadu, based on a movie musical so horrendous that many considered it irredeemable. 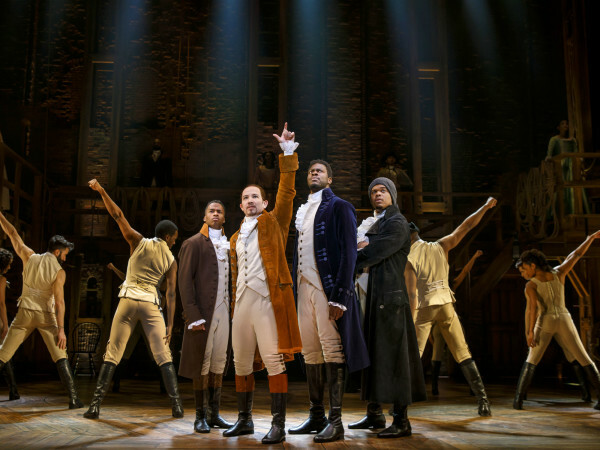 But Beane received Tony nominations for each, along with one for Lysistrata Jones, which premiered at Dallas Theater Center in 2010 under the title Give It Up!. Hood clearly has Great White Way aspirations, and thanks to the momentum of DTC's recent Tony win, it just might get there. 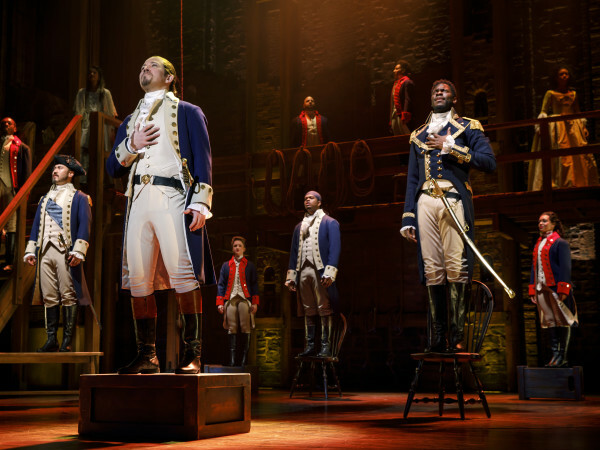 The good-looking musical boasts Broadway names both onstage and off, but also takes special care to integrate local performers much more than previous high-profile productions have. As a credit to our North Texas talent, audiences will have a tough time telling who onstage is a Dallasite and who's just here visiting. Take, for example, the traveling troubadour played by local actor/musician Ian Ferguson. He gets to strum and sing much of Lewis Flinn's catchy score, dueting often with Pegasus Theatre regular Beth Lipton as the violin-toting Lady Anne. 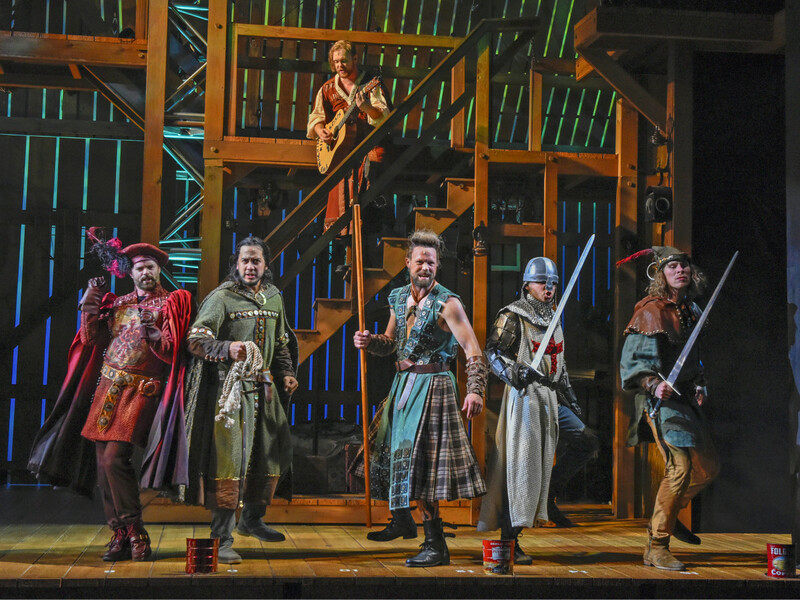 When the fugitive Robin (Nick Bailey) and his new sidekick, Much (Bille Aken-Tyers), begin figuring out their new life's purpose, DFW actors Luke Longacre, Ricco Fajardo, and Chris Ramirez all arrive to form the band of merry men. The boy-crazy Lady Jane (DTC resident acting company member Tiana Kaye Johnson) is thrilled later on to be surrounded by so much testosterone. Having arrived straight from the Jake Gyllenhaal-led Broadway revival of Sunday in the Park With George, Ashley Park is a stately and spunky Marian, who in Beane's welcome rewrite gets to do her share of heroic rescuing. 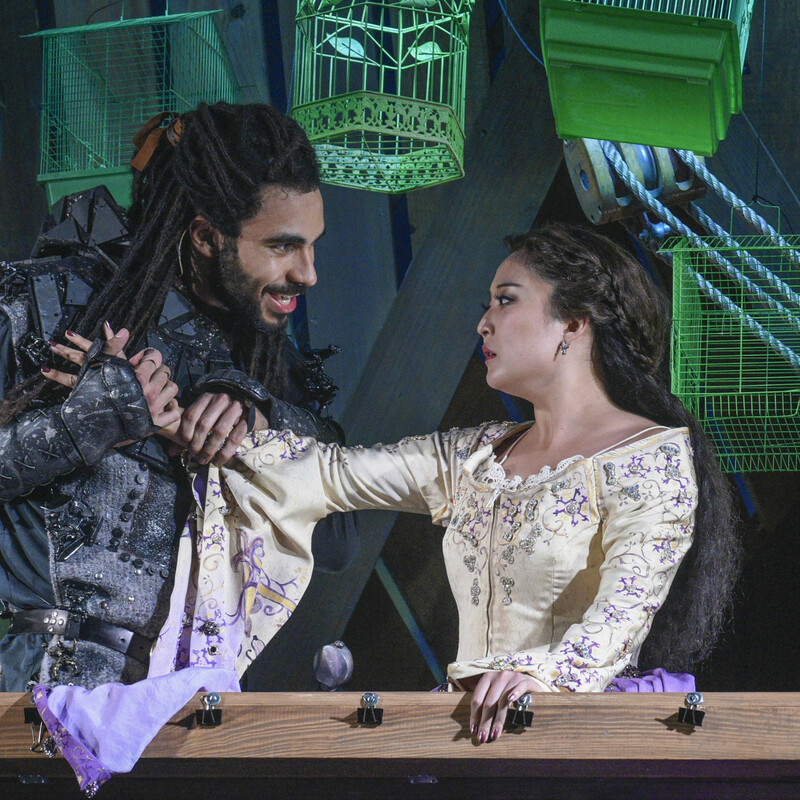 She spends much of the show sparring with the Sheriff of Nottingham, portrayed by Austin Scott as more of a cocky power-monger and less a mustache-twirling villain. 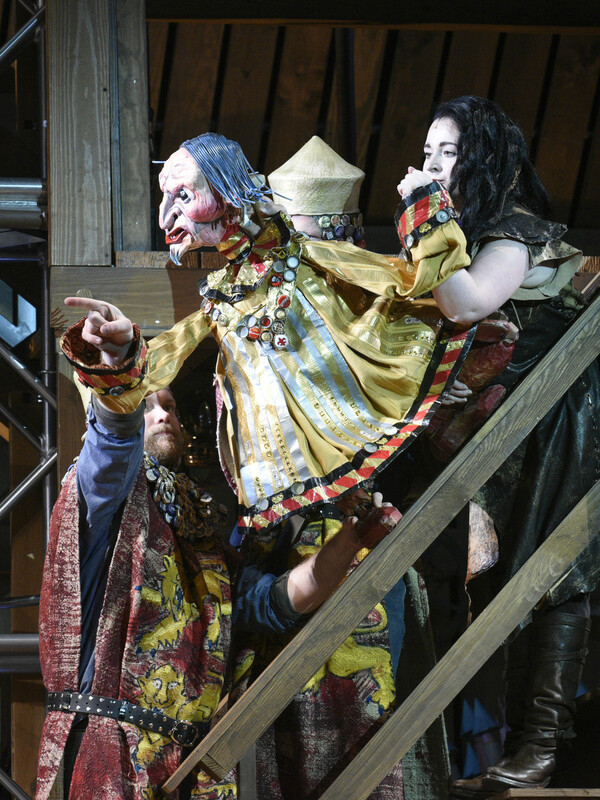 Though Jacob ben Widmar's Will Scarlett is merely a flamboyant caricature, he happily and hilariously munches each piece of scenery (designed for maximum versatility by John Lee Beatty) that gets tossed his way. Also under-drawn is Meg, the Scottish beggar with a childhood connection to Robin and Marian. 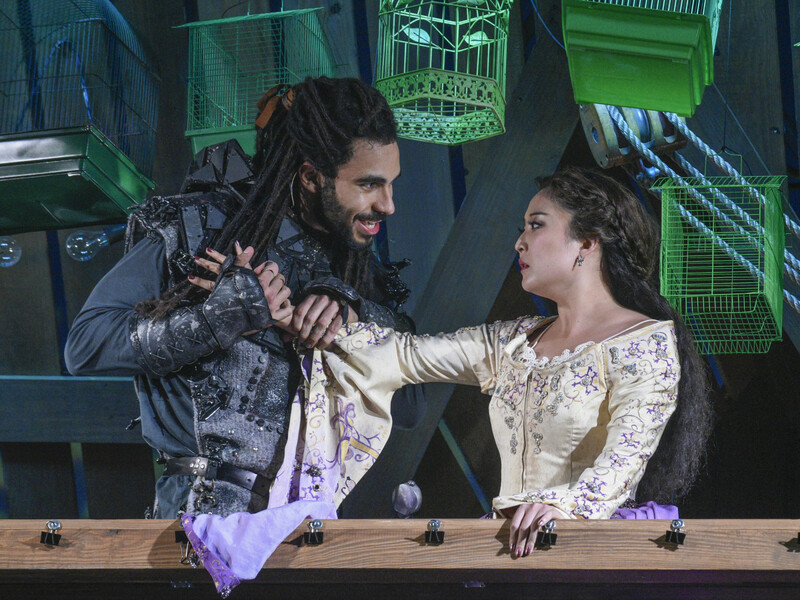 Though Broadway belter Alysha Umphress gets several songs to show off her thrilling voice, none of them ever help her become more than a convenient plot point for Robin's journey. Still, everyone is on the same whimsical, slightly wacky page as this enchanting interpretation flies through the folklore of Robin Hood. 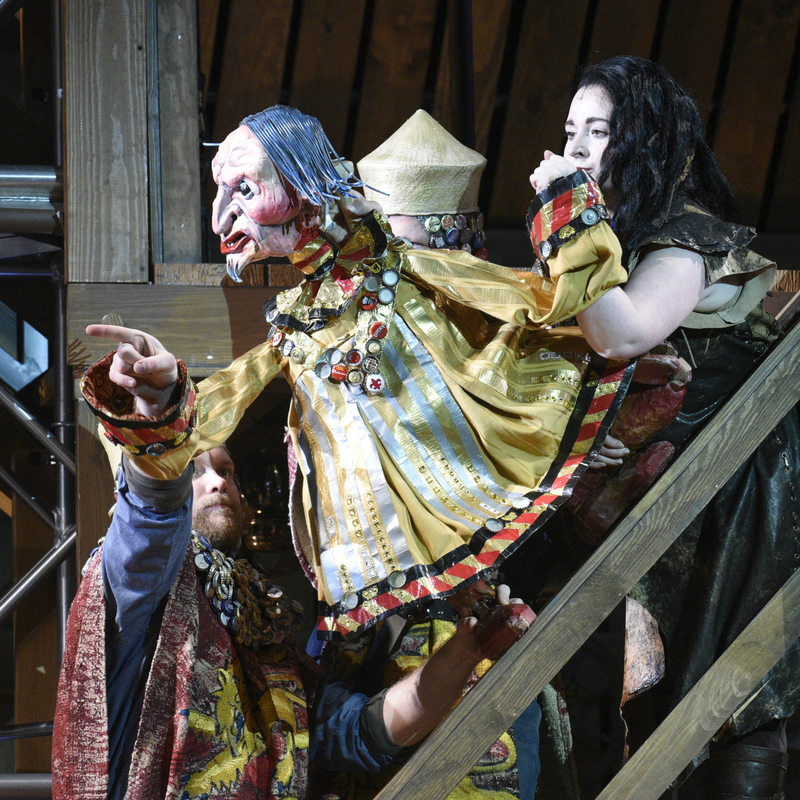 Using the conceit that these are actors who are crafting a story out of whatever's handy — though not committing to it as thoroughly as the recent national tour of Into The Woods — the production utilizes Gregory Gale's rich costumes and plenty of imaginative props. Though their obvious craftsmanship further distances the show from its found-object set-up, the puppets created by James Ortiz and Stefano Brancato are a delightful and ingenious way to incorporate more characters into an already bursting lineup. Spoiler alert: The puppets aren't locals. 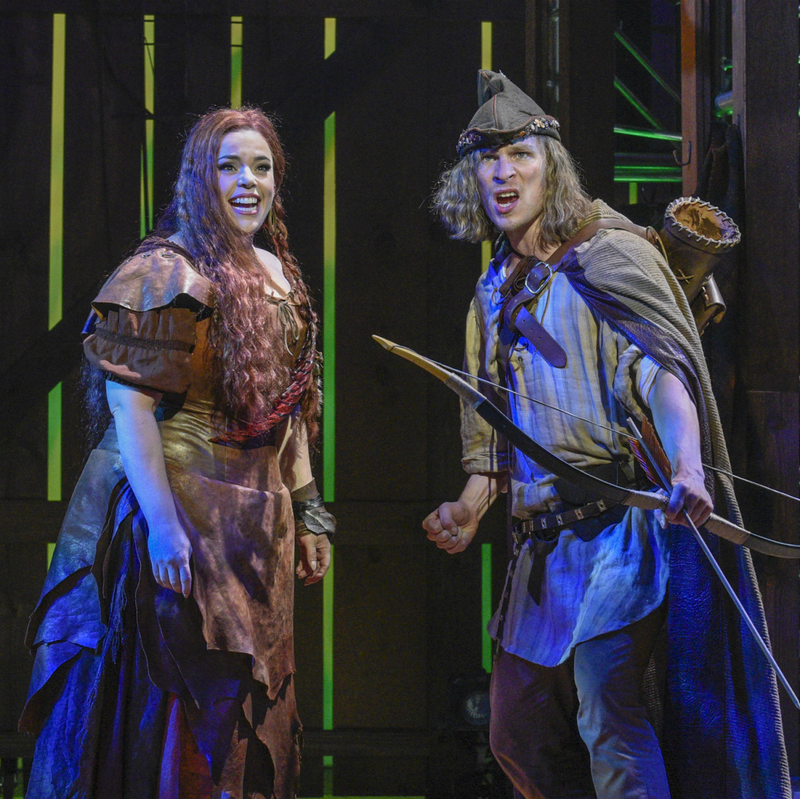 Dallas Theater Center's production of Hood: The Robin Hood Musical Adventure continues through August 6 at the Wyly Theatre.